Happy Tuesday, everyone! I’m loving this look all purchased from the #Nsale (minus the shoes!). I am obsessed with these jeans… you have no idea! They remind me of my Paige Denim jeans from a few years ago but they are so much less expensive and so comfortable. I can tell they’re going to be on heavy rotation. They’re on sale for $64.90 and available in all sizes! Now, onto this top. I love this striped long sleeve top and it’s seriously so cozy. I’m wearing a small, which is perfect, but I could’ve done a medium to wear with leggings in the fall! It’s so inexpensive, too, and I know that it’s a perfect wardrobe staple. It’s under $20 now and selling out fast so make sure to get as many as you can before they’re gone! Oh, and this cardigan… oh my goodness. So, sad news is that it’s currently out of stock. But you can find some of my favorite cardigans here, here and here. I also love THIS one! I have a feeling they’ll be bringing it back when the sale opens to the public so I’ll keep you updated on IG Stories! Lastly is this tote that I’ve been wearing ever since I received it! I love it so much. It fits everything for work and is so lightweight. I also hold all of my smaller essentials in the pouch that comes with it. They only have black left but I think that’s a great color, especially for work! This outfit is the epitome of the perfect basics for me. What kind of outfit do you wear on an everyday basis? Let me know! I’m in love with this neutral look and those jeans are amazing!! SO chic babe! Love good basics! Love this outfit for transitioning into fall. I am loving this sweater! Looks SO cozy! This look is so gorgeous!! Loving the neutrals. I picked up that tee too – it’s the best! Love stocking up on basics for this sale! such great pics! basics are always my go to. also- you are so gorgeous!! so. many. good. basics. love your picks! 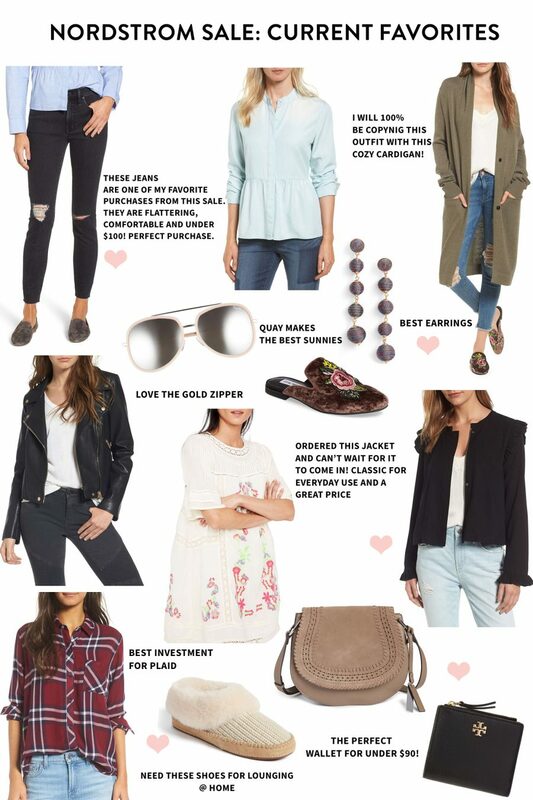 loving those basics you layered together… such great finds for fall at amazing price points!! I love the color of your cardigan!